The classic Dove style acoustic became one of the first acoustic guitars to become a recognized rock and roll icon and now both beginners and professionals can enjoy a classic look design and built with the integrity you’d expect from Epiphone. 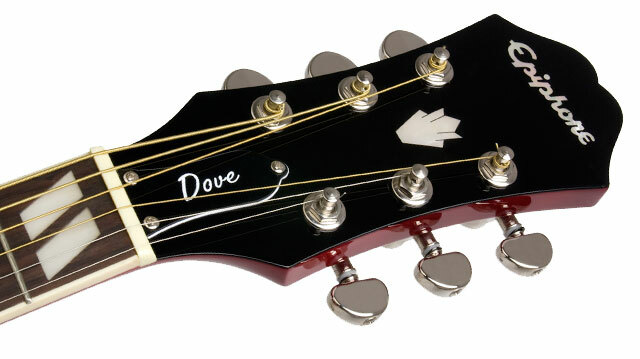 The Dove features a Select Spruce top. Spruce is a rich and complex tonewood that begins to breath and improve with age the more its played. The more you play, the better it sounds! The body is made from select maple and the bridge is made from carved rosewood with pearloid doves in a wide ornate pattern giving the guitar a vintage look. 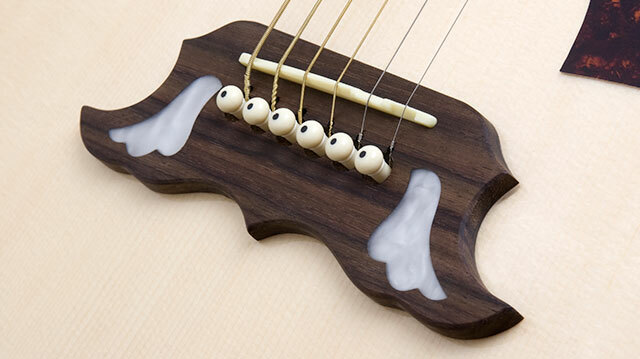 A guitar endures a lot of stress between the nut and bridge and rosewood has proven to be long lasting and a perfect compliment to a Spruce top. 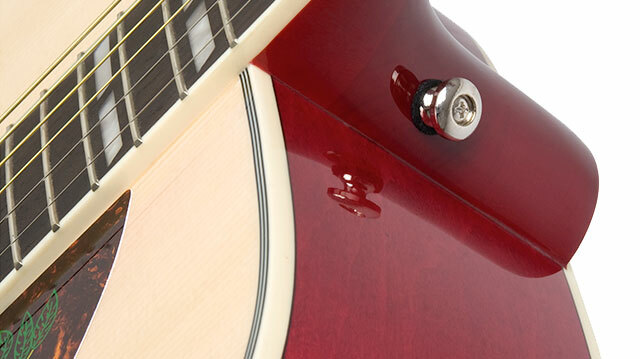 The classic Dove tortoise shell style pickguard is easy to spot from stage or across the room.